At the 1795 treaty council that sealed Anthony Wayne's victory at Fallen Timbers in northwest Ohio, the Wyandot leader Tarhe spoke for the assembled Native leaders when he admonished the American emissaries: "Take care of your little ones; an impartial father equally regards all his children." Spoken two decades after the minutemen's shots had echoed across Lexington Green, Tarhe's words compel historians to reconsider the rosy truisms that customarily encircle the age of the Early Republic. The essays in this volume begin to perform this important reexamination of the Native American experience in the post-Revolutionary period. Tarhe's eloquent words and similar evidence quoted by the volume's contributors show that American Indians were not defeated refugees who dutifully stood aside in the wake of the British defeat, nor were they passive victims of American expansion. The book's three parts reflect the dynamic nature of the Native Americans' struggle: the first provides broad discussions of the interaction between Native Americans and the United States in the postwar era; the second traces histories of specific tribal communities; and the third explores the powerful repertoire of stories and pictures that Americans used to describe Native Americans to themselves during an era of national expansion. 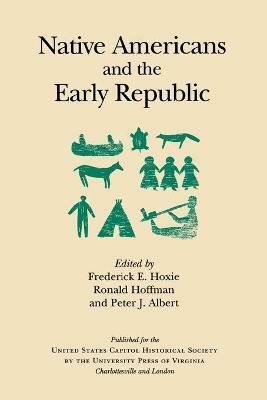 These essays open up for consideration a more complex history of the Early Republic. Frederick E. Hoxie is Professor of History at the University of Illinois at Urbana-Champaign. Ronald Hoffman is Director of the Omohundro Institute of Early American History and Culture. Peter J. Albert is coeditor of The Samuel Gompers Papers at the University of Maryland at College Park.